As a travel lover, all you need is a unique reason to fall in love with any novel land. Well, Sikkim gives you not only one but, countless reasons to fall for it! This landlocked Indian state offers towering snow-capped peaks, enthralling trekking trails, fascinating passes and beautiful lakes. Sikkim is a perfect blend of peace and chaos with charming monasteries on one side and the thrilling adventure activities on the other. Amidst all this, natural enchantment prevails in every nook and corner of Sikkim. Today, we will enlighten you about the most appealing lakes that enhance the beauty of Sikkim. Gather knowledge before buying your Sikkim tour package to have a super amazing trip. One can find a few lakes in Sikkim, and most of them are located atop mountains. So, the journey to reach the lakes is also going to be magical! 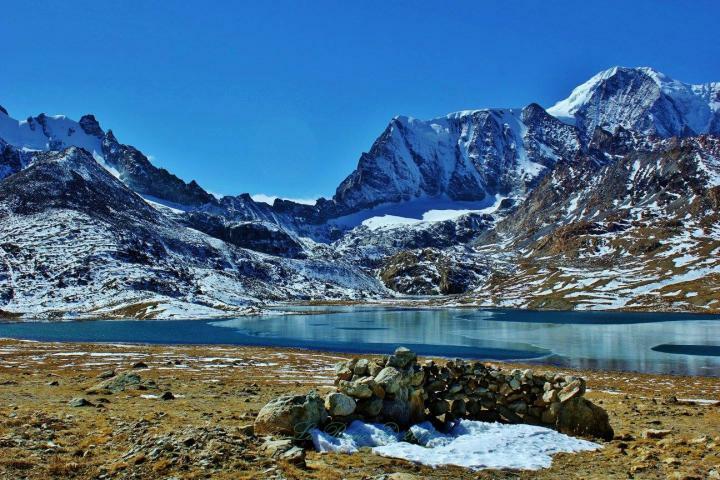 Nestled at an elevation of 3,753 metres, Tsomgo Lakes tops the list while talking about the fascinating lakes of Sikkim. Locally known as “Changu Lake”, mighty glaciers and lofty peaks add a distinct charm into this lake’s beauty. This oval-shaped lake is situated 40 km away from the capital city of Sikkim – Gangtok. 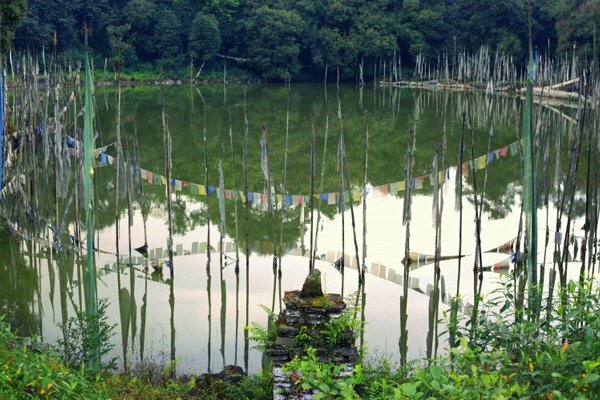 Covering an area of 1 km and a depth of 15 m, Tsomgo Lake is one of the biggest lakes of Sikkim. It becomes a frozen ice sheet in winters while it comes to life with flowing water and colourful flowers in summers. 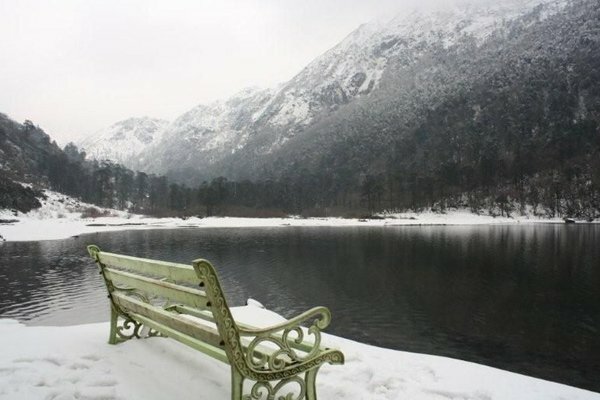 However, people admire this lake in summers and winters alike. You can also find many migratory birds at this lake! 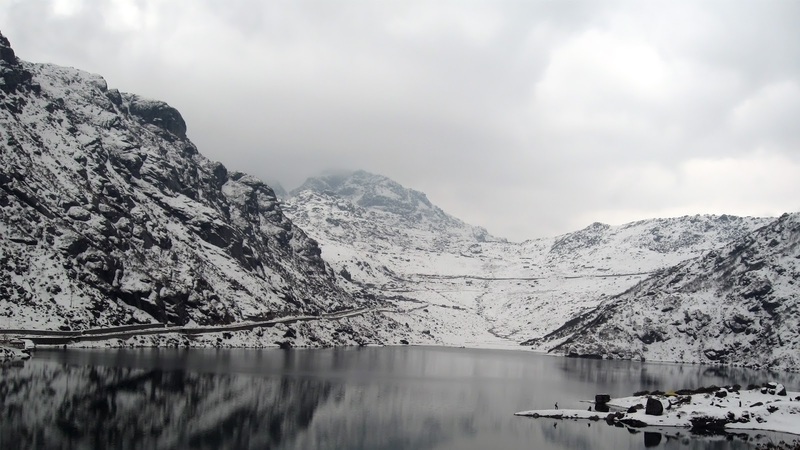 Located just 20 km away from Tsomgo Lake, Menmecho Lake is another alluring lake of Sikkim. Perched at the height of 12,500 feet, it is situated just below the famous Jelepla Pass. The lifeline of the state – Rangpo-chu River gets water from this lake. Menmecho Lake is famous for trout fishing in summers. Fishing lovers from all corners of the country come here for fish hunting. It becomes the hub of adventurers in winters when every water droplet of this lake turn into snowflakes. Being one of the highest lakes of entire Sikkim at an altitude of 17,800 feet, Gurudongmar Lake always remains in the limelight. Buddhist and Sikh devotees consider this lake sacred which is another reason why this lake receives numerous visitors. It is believed that couples who cannot have children should worship at this lake to fulfil their wish. 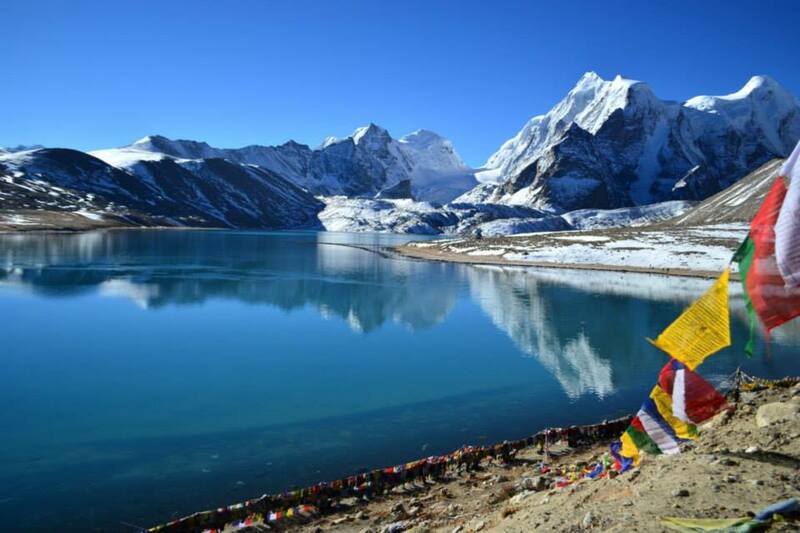 According to another fable, Guru Rinpoche has blessed one part of this lake. People also say that this miraculous spot never freezes even in harsh winters of mountainous region. You can check it out on your own by buying the Sikkim tour package and visiting Gurudongmar Lake. Kecheopalri is another lake that is considered holy and pure besides being a top tourist destination. Tucked in the lap of nature at a towering height of 38,710 feet, Hindus and Buddhist worship this lake. The lush green surroundings of Kecheopalri Lake with groovy forest patches make it a likeable picnic and photography spot. 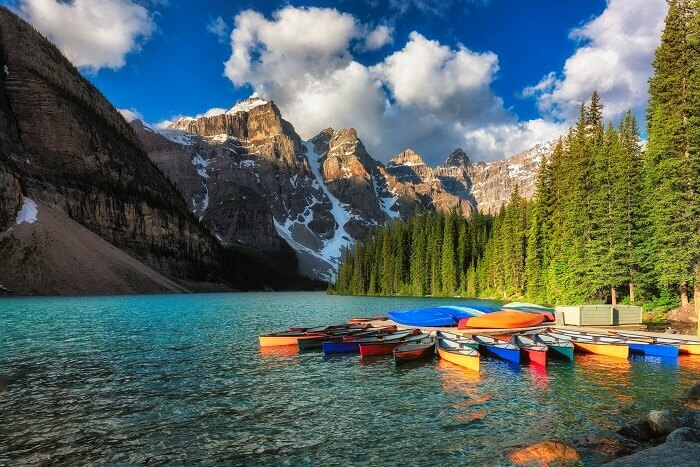 The sights of this charming lake will surely spellbind you! A legend says that birds and natural creatures around this lake safeguard it from any bad happening or intruder. Well, find it out and tell us how true it is. Just like its name, the surroundings of this lake are also green enough to soothe your eyes! Situated at the base of magnificent Mt. Kanchenjunga, Green Lake is considered a mysterious lake by locals. 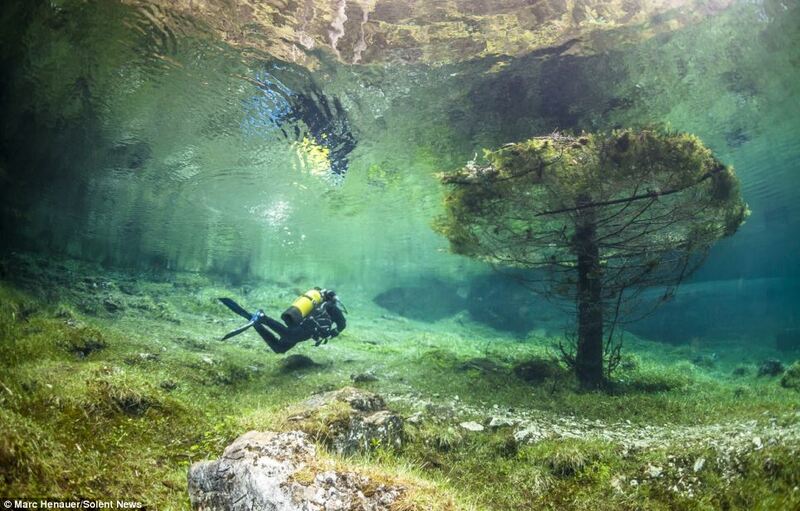 Believe it or not; some says that this lake got mysteriously disappeared once! You can satiate your curiosity about this lake by paying a visit. Its route is one of the most famous trekking trails where you can find many trekkers and adventure enthusiasts trying their strength in trekking. Adore the reflection of Mt. Kanchenjunga in the lake water on your trip. 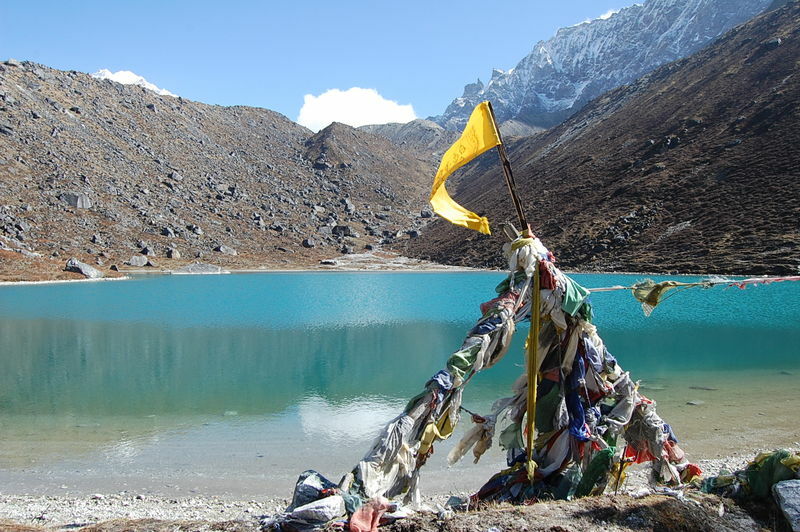 There is no dearth of folklores and sacred lakes in Sikkim. You will agree on it more only after knowing about Karthok Lake. The tranquil surroundings around the emerald water of this lake are the chief reasons behind its scenic beauty. It is said that any wish made with a pure heart around Karthok Lake is heard by gods. Yes, you can also try your luck by making a sincere wish. Maybe you will be fortunate enough to get what you desire. A special celebration is held annually at this lake in order to thank the gods for prosperity and peace. The beauty of Tso Lhamo Lake makes it a worth visiting Lake of Sikkim. The sparkling water coupled with rocky land allures tourist to this Lake. This lake is also a source of the well-known Teesta River. If you are an avid bird watcher then, you would surely have a great time at Tso Lhamo Lake. To your surprise, migratory birds from various corners of the globe come here to beautify this lake. The lake becomes extra charming on sunny days due to scenic reflections. You will find Samiti Lake while passing through the thrilling Goecha La trekking trail. The turquoise waters of this lake won’t let you move ahead without admiring it for some time. This tiny lake holds enough charm to compel the trekkers and distract them from their trek for a while. Cradled between two majestic cliffs, Samiti Lake is a must visit lake of Sikkim. It is locally known as “Bunmoten Choo” in the Sikkimese language. You can also spot groups of herders with their sheep and other animals during summer near this lake. What are you waiting for now? Pack your stuff and head to Sikkim tour package to witness all this with your own eyes! Do share your thoughts and experiences with us after the trip. Have a fun-packed tour!